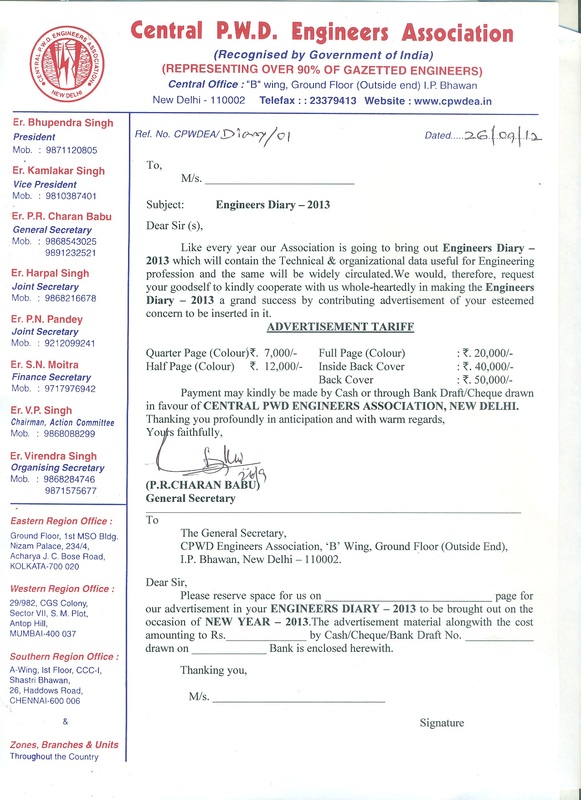 I am enclosing the Advt form for the Diary 2013 of our Association. It is requested to print the same and take copies for taking advertisements from all possible sources at your level. Your active cooperation is kindly solicited to make the Diary a huge success like earlier years. Pl take action in time so that all the material and payments reach to our central office latest by November end for printing the diary well in time for dispatch to you .